Nice detective work Swish. I vote for # 3 also. Mr. Peterman must have had a lot of sleepless nights with all this going on in his head ! My vote is for number three. The drawing I recall had one sprocket per stub shaft..this arrangement has a sprocket for each wheel. Kind of wondering why the Pete didn't use a Knuckey rear that was built in San Francisco, just across the bay from Peterbilt, instead of one built 500 miles away in LA. The Maxi rear had its fans I guess. Hug shipped some trucks 2000 miles west to have that rear installed. Freight train, about the only thing I am sure of on this KW is that it does not have a front driving axle. Front drives on these pre-war KW's were very noticable. 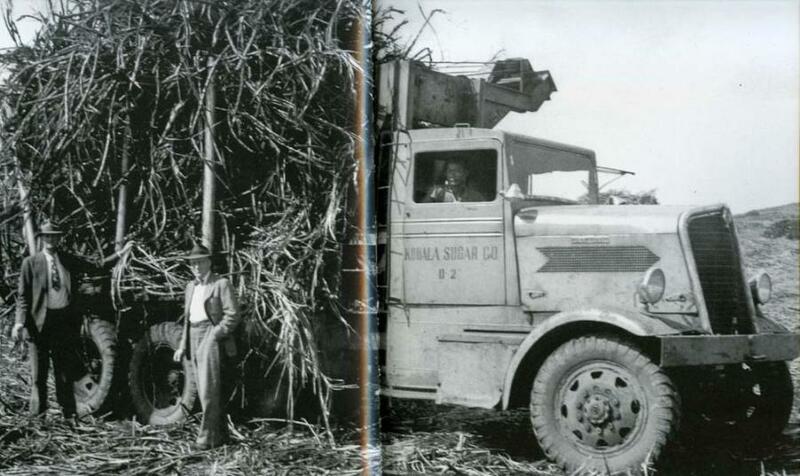 Here's a couple of pics of trucks built for the sugar cane fields in Hawaii in 1936-37. The sprockets for the chain drive were between the duals on the inboard side. I don't think this system was too successful because is disappeared quickly...probably for some of the reasons that Swishy pointed out. 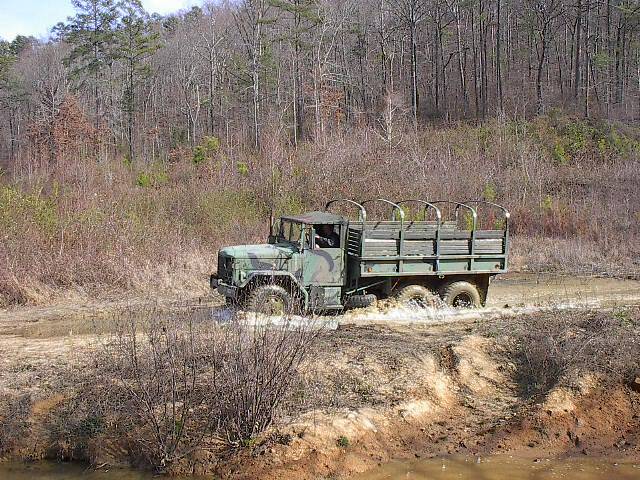 I can't find any of the patents for this under Peterman,Peterbilt or Fageol. By the gusset deal the suspension attached between the wheels.I wonder if the rears are just weight bearing and it is Front wheel drive?Can't really tell if that is a drive shaft or some type of frame rail/suspension part under the truck.Another possibility is the center pivot of the suspension holds the "Axle" and geared ends that power the 4 ends out back from the center.There ain't no way it could really be powered from the middle like a tradition pumpkin or you would have to totally dissassemble the rear end to change a flat tire. Swishy, unfortunately the resolution on the KW photos isn't high enough to really see what is back there. I can't make out any sprockets or chains, but the driveshaft sits very high which would indicate chain drive or worm drive differentials. It would be great to see a larger image. Judging by the large piece between the front and rear drive wheels it looks like this bogie pivots in the center. But I stand to be corrected too ! This Peterbilt was owned by the Snoqualmie Falls Lumber Co. and had a Maxi chain drive rear end. I still think the trailer is a Peterman creation despite the duals being closer together. 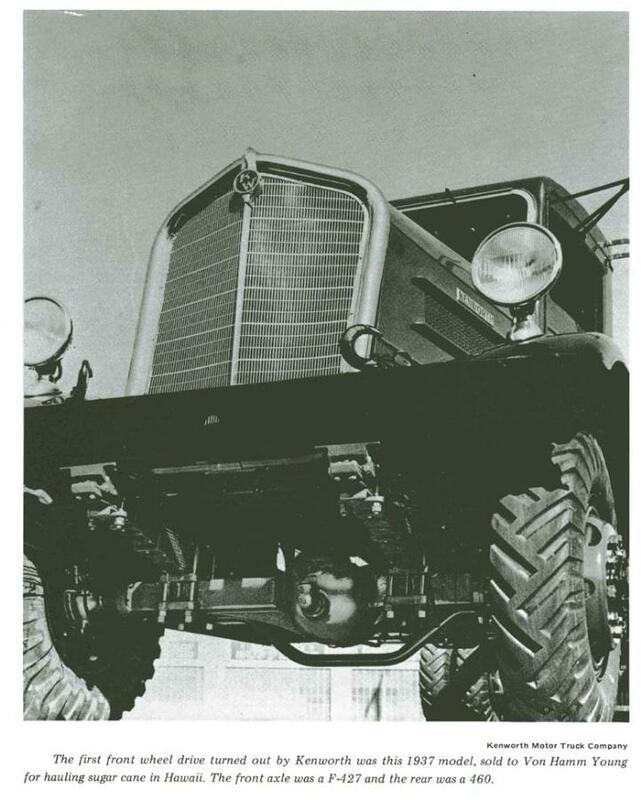 They were probably configured that way because there was no need for the space of the chain drive between the tires.